Today: Mostly cloudy. Highs in the mid 70s. Northwest winds 5 to 10 mph. Tonight: Partly cloudy in the evening then becoming mostly cloudy. Lows in the lower 50s. North winds 5 to 10 mph. Details here. Drought Index is at 443. The OED’s Word of the Day: Orcish, adj. and n..
Flagler County Schools are closed for students and teachers this week. In Court: Circuit Judge Dennis Craig returns to the Flagler County bench after two years serving in Volusia, this time to take over Flagler’s criminal docket, last held by Judge Matthew Foxman, who was reassigned to Volusia. Craig’s first case, at 1:30 p.m.: a motion to suppress in a third-degree felony drug case–unlawful possession of a controlled substance, which usually means unlawful possession of prescription drugs–in this case, hydromorphone) involving Benjamin A. Chandler, 28, of Bunnell. Craig will also hear a possible plea from Nicole Desimone, 34, a resident of the Mondex, or Daytona North, who is accused of cocaine possession, among other charges. That’s at 2:30 p.m. in Courtroom 401. 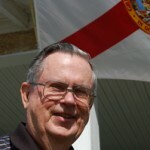 Craig was elected to the bench in 2010 and served four years in Flagler’s civil court division. The Palm Coast Code Enforcement Board meets at 10 a.m. at City Hall in Town Center. The full agenda is available here. The Young Professional Group of Flagler County holds its January social at Cork & Paint bar in Palm Coast, 101 Palm Harbor Parkway. Free admission for YPG Members and $10 for non-members includes two drinks, appetizers and networking with other 20, 30 and 40 somethings looking to build professional and personal connections. Note: Some proceedings below can be followed live on the Florida Channel. ♦ Jan. 7: Daytona State College Enrollment Saturday, 9 a.m. to 1 p.m., Wetherell Center (Bldg. 100), 1200 W. International Speedway Blvd., Daytona Beach. Students can take advantage of the one-stop events to complete everything from admission to registration and have a chance to win a $350 scholarship (Dec. 10 only) for a free class from the Daytona State Foundation. Students start by completing a Daytona State application, then meet with an Admissions Advisor and Financial Aid Counselor, take an assessment test (if applicable), meet with an Academic Advisor, and then lock in their schedule. ♦ Jan. 9: The Flagler County/Palm Coast Disabled American Veterans hold a flag-raising ceremony and dedication of the organization’s new facility at 27 Florida Park Drive. A luncheon will follow. 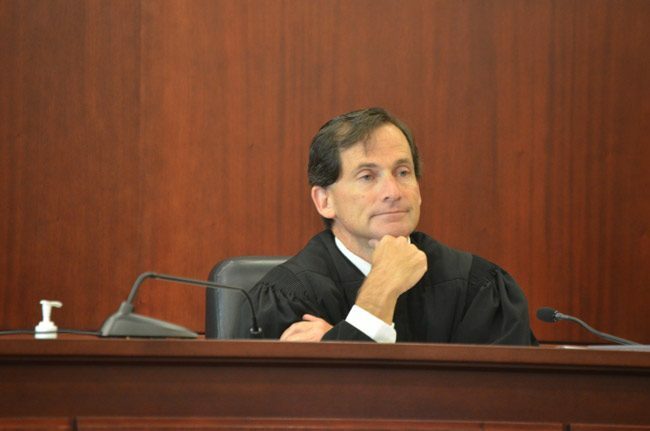 The event is scheduled for 11 a.m.
♦ Jan. 11: A status conference is scheduled for 9:30 a.m., by phone, in the Judicial Qualification Commission’s case against Flagler County Circuit Judge Scott DuPont, who faces five charges of unethical conduct during his reelection run last year. ♦ Jan. 13-15: The 4th Annual Flagler Film Festival features 60 films (shorts and features) from several local Flagler County filmmakers and films from around the world. Films from first time filmmakers, students and multi-award winning filmmakers will be screened. Hilton Garden Inn, 55 Town Center Blvd., Palm Coast. Tickets available at the door and on the festival’s website soon (www.flaglerfilmfestival.com) or by calling the box office 386-597-0260. Advance ticket prices are $5 in advance for one block of films, $10 for one day of films or $25 for the entire weekend of films. ♦ Jan. 17: Learn about historic and interesting Flagler County sites with local author Bill Ryan as your guide on this latest Historic Flagler County Bus Tour. The bus leaves at 10 a.m. from the Holden House, 204 East Moody Boulevard, Bunnell, and returns at 2:30 p.m. The cost is $20, which does not include lunch at Bull Creek Fish Camp. To make reservations or for more information call 386-439-5003. ♦ Jan. 21 and 22: Flagler County Home and Lifestyle Show, the annual event and fund-raiser for Flagler Technical Institute, the adult education division of the school district, takes place at Flagler Palm Coast High School. ♦ Feb. 6: The great violinist Itzhak Perlman opens the 2017 season of the Amelia Island Chamber Music Festival with a 7:30 p.m. performance at First Baptist Church, 1600 South 8th Street in Fernandina Beach. Tickets here. ♦ Feb. 8: Jonathan Canales, the man accused of shooting his girlfriend in the neck and leaving her to bleed in a bathtub for hours in their Mondex trailer in Nov. 2014, is scheduled for a pre-trial at 1:30 p.m. in Courtroom 401 at the Flagler County Courthouse. Canales had been judged incompetent to stand trial previously. 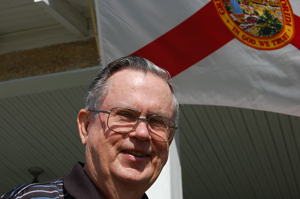 ♦ March 7: Bunnell and Flagler Beach hold their municipal elections. From YouTube: Dongsok Shin performs the Sonata in d minor, K.9 by Domenico Scarlatti (1685-1757) on the earliest known surviving piano, made by the instrument’s inventor, Bartolomeo Cristofori (1655-1731), in Florence, 1720. Scarlatti’s keyboard compositions were performed on both the harpsichord and the early piano. Bohuslav Martinu: Symphony nº 4, Performed by the Spanish RTV Orchestra, Walter Weller, cond. Alexis Weissenberg Performs Mozart’s Piano Concerto in E flat, K 271, Second Mvt. J.S. Bach: St John Passion, BWV 245, Performed by Bach Collegium Japan, Masaaki Suzuki, dir.